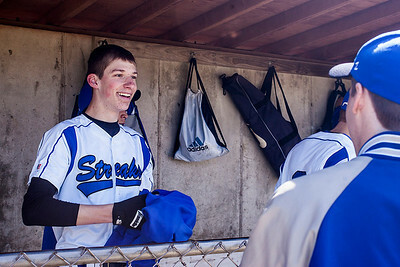 Kyle Grillot - kgrillot@shawmedia.com Woodstock's Zach Kammin smiles as his team talks about his no-hitter after the game against Marengo Saturday in Woodstock. Woodstock beat Marengo, 10-0, in five innings via the 10-run rule. 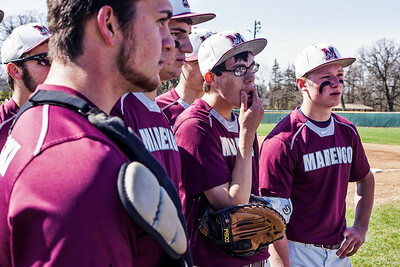 Kyle Grillot - kgrillot@shawmedia.com The Marengo team listens to head coach Josh Maas before the fourth inning of the boys baseball game Saturday in Woodstock. Woodstock beat Marengo, 10-0, in five innings via the 10-run rule. Kyle Grillot - kgrillot@shawmedia.com Woodstock's Zach Kammin pitches against Marengo during the second inning of the boys baseball game Saturday in Woodstock. Woodstock beat Marengo, 10-0, in five innings via the 10-run rule. 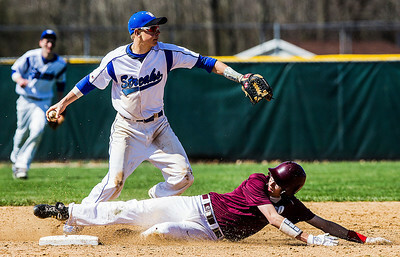 Kyle Grillot - kgrillot@shawmedia.com Woodstock's Alex Ferguson forces Marengo's Brent Maney out at second base during a double play during the fifth inning of the boys baseball game Saturday in Woodstock. Woodstock beat Marengo, 10-0, in five innings via the 10-run rule. 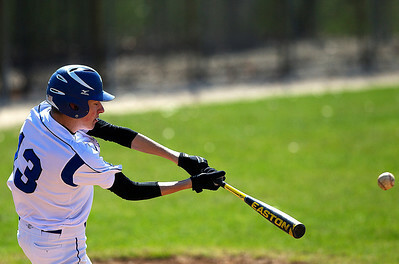 Kyle Grillot - kgrillot@shawmedia.com Woodstock's Zach Kammin hits against Marengo during the fourth inning of the boys baseball game Saturday in Woodstock. Woodstock beat Marengo, 10-0, in five innings via the 10-run rule. 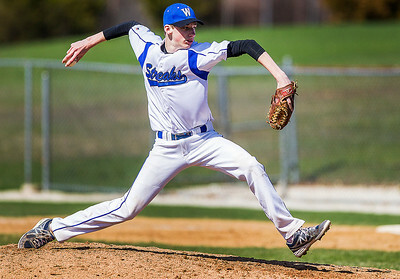 Kyle Grillot - kgrillot@shawmedia.com Woodstock's Zach Kammin pitches against Marengo during the fifth inning of the boys baseball game Saturday in Woodstock. Woodstock beat Marengo, 10-0, in five innings via the 10-run rule. 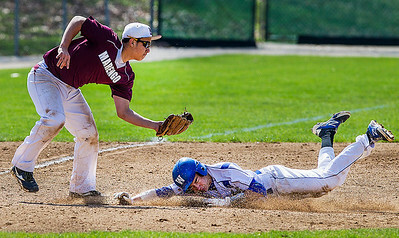 Kyle Grillot - kgrillot@shawmedia.com Marengo's Mike Villarreal tags Woodstock's Alex Ferguson out at third base during the fourth inning of the boys baseball game Saturday in Woodstock. Woodstock beat Marengo, 10-0, in five innings via the 10-run rule. 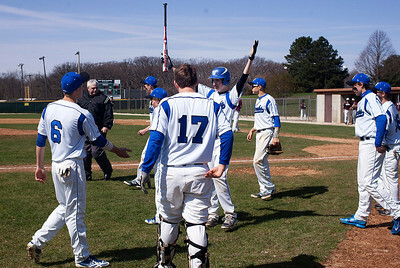 Kyle Grillot - kgrillot@shawmedia.com Woodstock's Zach Kammin (right) is greeted by Woodstock head coach John Oliveira after the third inning of the boys baseball game Saturday in Woodstock. Woodstock beat Marengo, 10-0, in five innings via the 10-run rule. 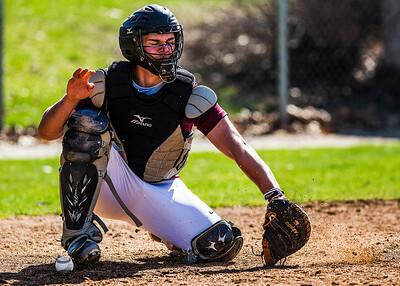 Kyle Grillot - kgrillot@shawmedia.com Woodstock's Ben Haulotte watches a high pitch during the third inning of the boys baseball game Saturday in Woodstock. Woodstock beat Marengo, 10-0, in five innings via the 10-run rule. 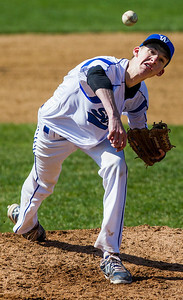 Kyle Grillot - kgrillot@shawmedia.com Woodstock's Zach Kammin pitches against Marengo during the third inning of the boys baseball game Saturday in Woodstock. Woodstock beat Marengo, 10-0, in five innings via the 10-run rule. 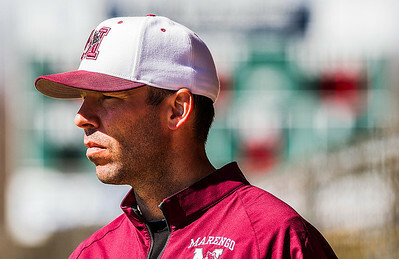 Kyle Grillot - kgrillot@shawmedia.com Marengo head coach Josh Maas watches as senior pitcher Justin Vogel warms up during the third inning of the boys baseball game Saturday in Woodstock. Woodstock beat Marengo, 10-0, in five innings via the 10-run rule. 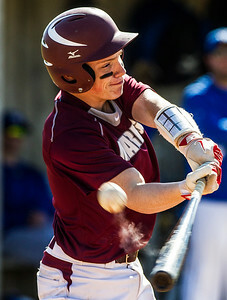 Kyle Grillot - kgrillot@shawmedia.com Marengo's Erik Kurczewski reaches for a low pitch during the third inning of the boys baseball game Saturday in Woodstock. Woodstock beat Marengo, 10-0, in five innings via the 10-run rule. Kyle Grillot - kgrillot@shawmedia.com Woodstock's Zach Kammin celebrates after the fifth inning of the boys baseball game Saturday in Woodstock. Woodstock beat Marengo, 10-0, in five innings via the 10-run rule. 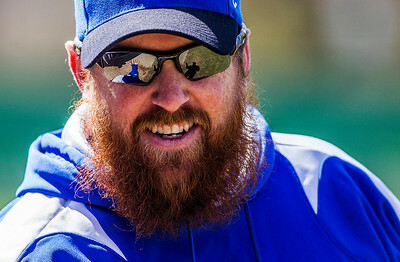 Kyle Grillot - kgrillot@shawmedia.com Woodstock head coach John Oliveira laughs with his team about a catch during the fifth inning of the boys baseball game Saturday in Woodstock. Woodstock beat Marengo, 10-0, in five innings via the 10-run rule. 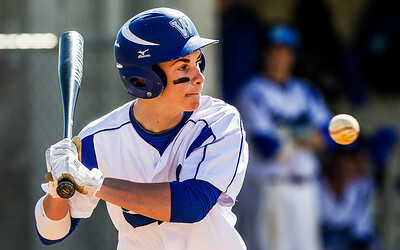 Kyle Grillot - kgrillot@shawmedia.com Woodstock's Marc Bender hits a foul ball during the second inning of the boys baseball game Saturday in Woodstock. Woodstock beat Marengo, 10-0, in five innings via the 10-run rule. 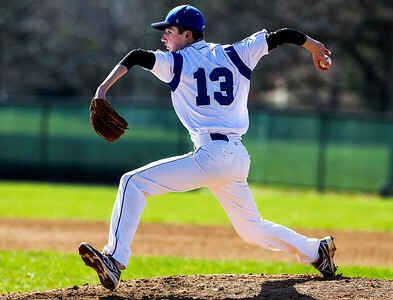 Woodstock's Zach Kammin pitches against Marengo during the second inning of the boys baseball game Saturday in Woodstock. Woodstock beat Marengo, 10-0, in five innings via the 10-run rule.